How to find the right information among millions of websites, if you do not even know their names and addresses? Only with the help of a search engine. About them we discuss in this article,. 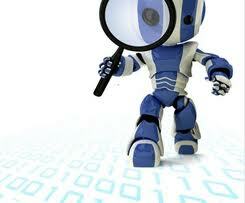 Search system (also used the term "search engine") - this site, whose task is to find information on other websites. for example, the user wants to buy online feed for fish. He opens a search engine and enters a query: fish food to buy. The search engine analyzes the tens of millions of pages in its database, and is looking for those, on which there is a match with the user's request. After the system outputs the result of the search: a list of pages and sites, that match your query. This list is called the SERP. It may be several million results, sorted so, that the most important will be the first. The user can only select the store and buy food for their pets dumb. All the work of the search engine, described above, It takes milliseconds. Modern search engines - it's not just the search string. This multi-portals, which include a huge number of useful services, up to electronic money, and stores. The most popular and influential Russian search engine - Yandex. It was under her webmaster "sharpen" their sites. In second place are Rambler and Aport. The rest of the world's undisputed leader among search engines - Google it. By the way, and in RuNet, this search engine is a serious competitor to Yandex. Sometimes new search engines created, but they fail to lure users with Yandex and Google, and they gradually fade.